Not seeing the fat-loss results you've been training for? It may be because you're falling for some fat-loss falsehoods! Get the straight facts about fat loss right here. Most regular gym-goers are there for one thing and one thing only: to lose fat. While there's absolutely nothing wrong with that goal, many people aren't training for it in the most efficient ways and thus struggle to make real progress. What's usually to blame for these ineffective fat-loss plans is a whole bunch of misinformation. 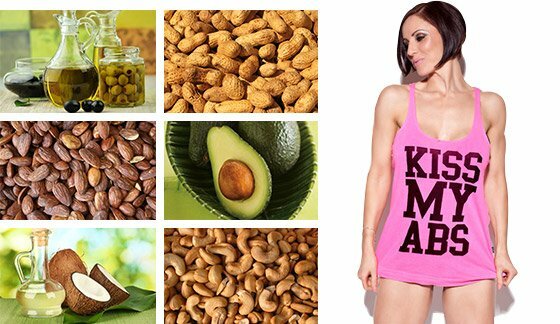 Get the real fat-loss facts right here! These six Optimum athletes know just what it takes to uncover those muscles hiding out under your body fat. Here's what they have to say about some of those pervasive fat-loss myths. 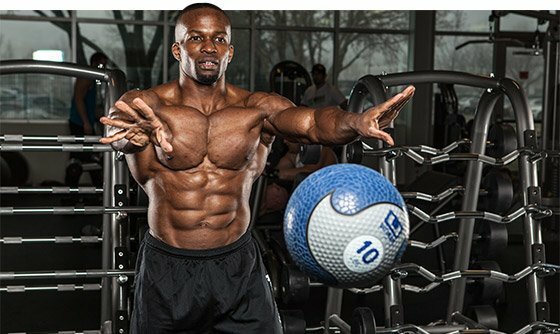 FAT-LOSS FALSEHOOD: "If I train abs really hard every day, I will lose belly fat and get a six-pack." REALITY: Everyone has a six-pack. It's a muscle called your rectus abdominus. The only reason it's not visible on everyone is because it's usually covered with a layer of body fat. You could do 1,000 crunches seven days per week, but that won't help you burn that layer of fat. In order to lose fat, you must monitor your caloric intake and eat fewer calories than you expend. That way, your body will use stored fat for fuel. When your body burns fat for fuel, you don't get to pick which parts of your body the fat will come off. Eventually, your entire body will be leaner, including that coveted abdominal area! FAT-LOSS FALSEHOOD: "You can turn all of your body fat into toned muscle by lifting weights." REALITY: It is not possible to turn your body fat into muscle. Fat is fat and muscle is muscle—you can't magically turn one into the other by lifting weights or doing cardio. However, weight training is the easiest way to control the shape of your body. The more muscle you have, the more fat your body will burn. Keep in mind, though, that you can have a lot of muscle and still have fat covering it up. That's why you need to do weight training, cardio, and have a clean, nutritious diet to maximize your weight loss and body-shaping potential. 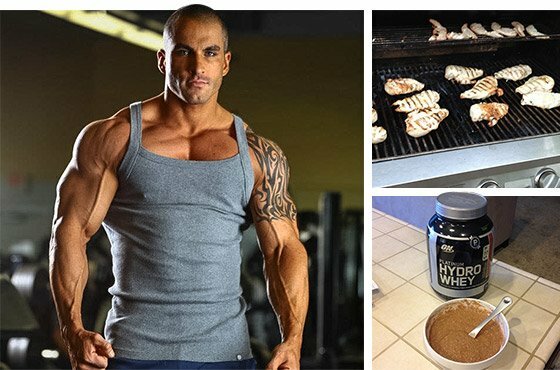 FAT-LOSS FALSEHOOD: "When trying to lose weight you need to drop your carbs and fats, but keep your protein intake high." FAT-LOSS FALSEHOOD: "Eating fat makes you fat." FAT-LOSS FALSEHOOD: "Cardio is all I need for fat loss." REALITY: Every gym has the guy or gal who does an hour and half of cardio but never seems to make physique changes. They're living proof that if you don’t change things up, steady-state cardio will become less and less effective at reducing your body fat. FAT-LOSS FALSEHOOD: "Eating small meals frequently speeds up your metabolism so you can burn more fat." Let's look at two people consuming 1800 calories. The 0.15 represents the thermic effect of food. Eating more frequently holds no metabolic advantage over eating less frequently. Of course, if spreading your meals across six feeds per day is more comfortable and easier for you, then do it. The key is to choose a meal frequency that fits your lifestyle. That way, you'll be more likely to stick to your plan over time.